I wouldn’t step down either. Unlike the players whose contracts are not fully guaranteed, NFL commissioner Roger Goodell’s contract is. Beyond that, Goodell makes more than any other player in the league by far. Goodell is stupid rich, and it would cost the owners two max NBA contracts to get rid of him. 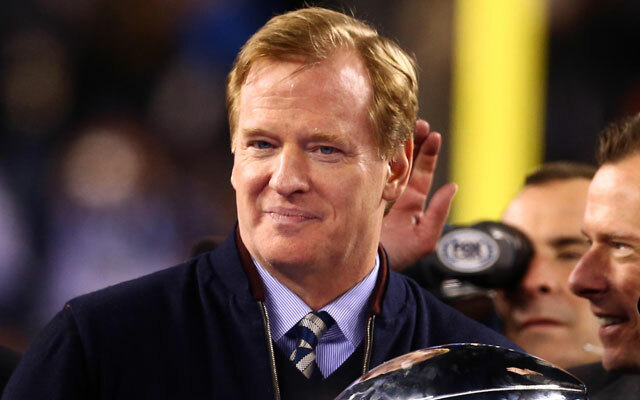 Goodell was given a contract extension in 2012 that runs through 2018. The value of the deal is approximately $300 million to $309 million in guaranteed salary. Based upon tax records, Goodell has pulled in $44.2 million in salary and bonuses each year since the extension was reached. That totals $132.6 million. If the league were to dismiss him before being paid for 2015, he would be owed another $176.8 million to meet the obligation of his extension. Goodell isn’t going anywhere for a while, so NFL players and teams just will have to deal with it.